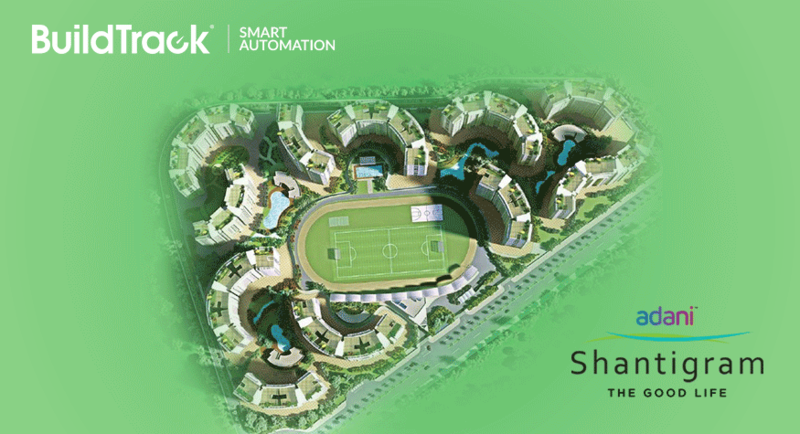 Adani Group has chosen BuildTrack Senior Living automation solution for its project- Shantigram (shantigram.com) in Ahmedabad. Shantigram is Gujarat’s luxurious 600-acre integrated township in Ahmedabad where around 250 apartments are being built focusing on senior citizens only. BuildTrack senior living automation system includes emergency call response system. The system consists of emergency pull chord sensor in bathrooms and panic buttons in the bedroom. Currently, the system has been installed in a sample apartment of the township. Adani Group is an Indian multinational conglomerate company headquartered in Ahmedabad, Gujarat, India. Its diversified businesses include resources, logistics, agri business and energy sectors. Adani Realty, part of Adani Group, is developing close to 69 million sq. ft. of real estate space including residential, commercial and social club projects across Ahmedabad, Mumbai, Gurgaon, Kochi & Mundra.